Stormy Daniels, Kim Jong Un, and trade war inducing tariffs? The Trump administration is a never-ending three-ring circus, where chaos is Trump’s best friend. How can the American public get a grip on any of the really big issues like gun control after Parkland, or the ongoing Russian investigations, when our heads keep spinning daily? For Asian Americans, the lesson during this ADHD presidency is to stay focused on our key issues, which for the moment remain immigration and DACA.This past week, Mr. Art of the Deal didn’t even bother to push Congress on DACA and the Dreamers, letting his self-imposed March 5 drop-dead date pass. Without the votes in Congress, it was the only thing Trump could do. That and blame Democrats.For now, the courts have also blocked the administration from ending DACA, and for the time being, the program lives on. Those who are eligible can still extend their protection.But just so Trump isn’t seen as a total loser to his base, the lull in the immigration fight has given Trump’s beleaguered Attorney General Jeff Sessions a chance to score some brownie points with his boss. Sessions showed up in Sacramento this week to file a lawsuit against the state over its sanctuary policies. The feds are particularly targeting three state laws that protect immigrant families and workers. 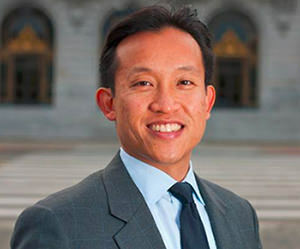 California State Assemblyman David Chiu of San Francisco wrote one of the three laws and told me the state is ready to defend them against the feds. “Trump is engaged in an un-American war,” said Chiu in a phone interview Friday, indicating the state is prepared to battle in court. Chiu said the laws were carefully crafted to honor federal law but also to protect the Fourth Amendment rights of immigrants in the state from ICE agents raiding workplaces without proper authority.Chiu also clarified what “sanctuary” is and isn’t. He said that Trump wants to deputize local law enforcement to be ICE agents. On the surface it might sound like a good idea. But immigration isn’t the job of your local cop. Chiu said Trump’s plan would only raise distrust among immigrants, who consequently won’t report crimes for fear of deportation. Chiu said that’s already happening in the Los Angeles area.Chiu said that if the feds are able to get away with heavy-handed enforcement activities that trample on the rights of people in California, then ICE will make the tactics standard throughout the nation.Chiu said in that sense, the fight in California is really a national one for the rights of immigrants.As for his advice to those in the community who are in fear of more ICE raids, such as the recent ones that netted more than 245 people, Chiu was unwavering.“We have your back,” he said. But he added that people need to know their rights if and when ICE shows up. Listen to my phone call with David Chiu on this special edition of Emil Amok’s Takeout.